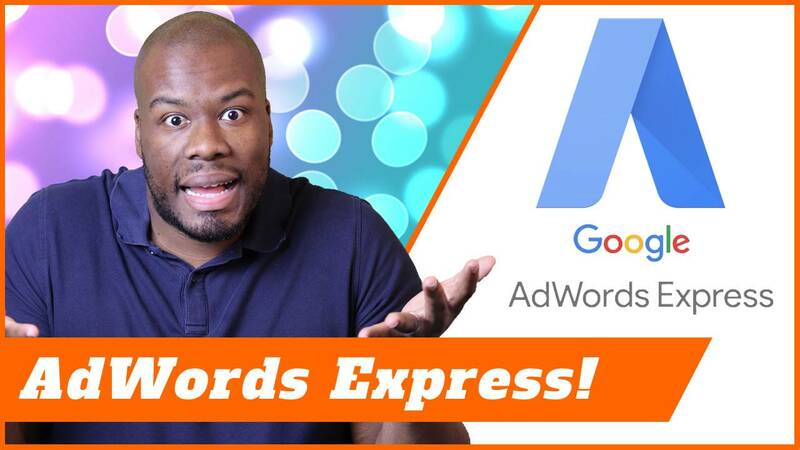 In this video, I’m going to walk you through how to set up a new campaign using Google AdWords Express, but more important than that, by the end of this tutorial, you’ll know not to go ahead and set campaigns up using AdWords Express, and when you can, try and use Google Ads main product. Anyway, let’s jump right into the tutorial. Hey, guys. As I said, this tutorial will walk you through AdWords Express and how to set campaigns up. As you can see, I’ve just googled AdWords Express. You’ll also notice that I am currently logged into my Google account. Again, you can’t use any Google products without creating a Google account. If you haven’t done that yet, go ahead and create a Google account. Essentially, just create a Gmail address. Just create a Gmail account, and that will allow you to use Google’s products. I’m going to go straight to the Google AdWords Express landing page, which is here. You can see that there. You go through to their page, and then obviously hit the green button to sign up. Again, AdWords Express is a product, it will always positions itself as easy to use. The first thing it asks you to do is define your three advertising steps to create your ad. You select your goal, you create your ad, and you set your budget. Three very simple steps, but that simplicity may be the downfall of your campaign, but I’ll go on to that later. Let’s continue with this. Let’s create an ad by clicking this button. On this page, you verify and pick your goals for your business, what do you want your business to achieve. If you’re a shop that takes orders over the phone, you want people to make a phone call to your business. If you’re a storefront and you want people to walk into your business, then you want people to turn up at your location. If you’re more digitally savvy and you want people to buy off your website or make an inquiry at your website, then you want the option of taking an action on your website. For the purposes of this tutorial, I am going to do an action for taking an action on your website, and I’m going to pick that goal. Now, once you’re through to here, it’ll give you a target area for your business, “Where are your customers?” is the next question. Obviously, I’m based in the United Kingdom, so this is where it defaults. For whatever country you are in, it will default to that option. You can pick specific cities, states, or countries. In this scenario, my current targeting is nationally targeting the United Kingdom. Now, if I wanted to change the location, all I would need to do is click here. If I wanted to say, for example, not target the entire United Kingdom, and I wanted to just target London, then I would do that and type “London” into here. If I wanted to target further areas, if I wanted to target bigger parts of London, I would type in “Greater London.” You’ll see you can layer your targeting based on specific regions of whichever country you’re in. You can do it by state level, you could do it by city and town level. These are the options you have, and you could also do near your business as well. If you click this option, it will allow you to create a radius around where your business is. I’m currently in Newcastle upon Tyne in the United Kingdom, and you can show your adverts to users looking for your business within a specific radius. For example, if I wanted to advertise to a much wider area, I would move this slider and adjust the size of my targeting. Therefore, now I’m reaching further afield from where my business is located. You can highlight your serviceable area using this radius by adjusting it to the size of your business. You can get really specific and go as low as three miles, or you can go as large as 40 miles as well. Next, once you’ve chosen your targeting, you just hit the next button. Defining your product is the next step. Again, it focuses on a very simple setup. First, choose your language. English is the language I’m currently speaking. That’s what I’ll leave it on, but you can choose the language that fits your business and your country. Then, you can choose your business category. This is a really important part of using AdWords Express if you have to use it. That is, if you start typing in a service, it will start coming up. I might be a carpenter, and that will start coming up. Carpenter, carpenter tools, roof servicing. It starts to kind of understand what you’re trying to target, wood worker, contractor. If I was in construction, then construction jobs comes up, construction, electrician, roofing, again, landscape, gardener. You can really start to see that. If I want to type in “pet”, that could be pet groomer, pet trainer, a pet cemetery. You can start to see google has a ton of categories, hundreds and hundreds of categories, of different types of business, and it asks you to choose one specifically for you. If I wanted to do marketing agency– I always click marketing agency because that’s essentially what I am. Then, you can also do specific products or services in your advert. You have the category level, which is the top level of what your business is all about, and then within that, you have different categories. If you’re a handyman, for example, you could be wanting to promote shelf fitting and furniture, construction, you could do extensions, you could do woodworking. All of the categories within your business, you’d want to list here that you’d actually target. What’s quite handy about this is it actually suggests categories for you. For example, I am a digital marketer, so I could pick digital marketing, I could pick SEO, I could pick business-to-business. Again, all of these categories, what will happen is you choose those, and what you’ll notice is on the side, it shows you the size of audience you could potentially reach per month. This is based on your category, based on your products you’re promoting specifically, and in addition to that, it’s based on your location targeting as well. The more narrow your targeting, the smaller the size of the audience, but the wider you’re targeting, the bigger the audience as well. It’s important just to make sure you reflect your business. There’s no point in having a big target area or a big targeting portfolio to get a bigger audience if you don’t service those areas. Once you’ve picked your services, you can hit “next,” and then it’s all about creating your advert. Once you’ve done this, all you need to do is look at targeting your advert towards your users. I’ve chosen my categories, I’ve chosen my business type. What do I want people to see when they go to Google and search for terms that are related to those categories? I could type in something like “the best digital agency in,” and then to put “UK.” Now, this is a terrible ad, this is just showing you what you can do. I’ve done whole videos on how to write great text ads before, so I will share that with you in the description as well. It’s important to make sure you make your advert appealing, utilize both the headlines, and then look at the description as well. Again, it pre-populates an advert for you as well which makes life really easy. Some people just don’t change the text which is very unadvisable. Make sure it’s customized and make sure it’s unique to your business, and type in your unique selling points. Now, compared to the main Google Ads product, you don’t get as much chance to sell your business with loads of unique selling points and Ad extensions and things like that, but you can still try and get your USPs and your unique selling points within your advert as well. Use the text to do that to make sure you highlight any offers and discounts if you’re competitive on price, then mention it. All of those things are really important. Then, finally, the obvious part is to add your webpage for when people click the advert where are they going to go. For me, at the moment I’ve just got a test site URL, which is a testing URL I often use just to set campaigns up, just to try and see testing and targeting. That’s fine for me, but of course for you, put in your actual website you want users to go to when they click your advert. I’m going to hit “next” now, and you can actually add images to your advert that show up on certain websites as well. Again, it’s utilizing different networks. Google have obviously the search network where you can do a search online, and then it could find a service by doing that, and it shows your advert on that search results page. You can also add images to your advert, and it turns that advert into a display advert. You have an image within your advert. You can click “plus” to add an image, and that’s uploaded pretty much just to Google, and you can add that to your Google Drive. What I will do now is, I will actually skip this because I don’t want to add images to my advert, but it’s something you can do. If you have any images that will work for your business that kind of sell your business, obviously, make sure they don’t contain loads of text because you’ll get disapproved. They just have to be normal images. Select those and upload them just by selecting an area of your computer and uploading the file, or you can even drag and drop it into this area. For the purposes of this, I’m not going to do that. Next, hit the button to go forward, and then it’s the really important part, how much you’re going to spend per day on your adverts. Now, Google will make a suggestion based on your industry and understand the minimum and maximum amount. It populated it with £15.46 for me, but it looks like I could spend potentially up to– Let’s see the typical budget constriction range. This shows you what your potential competitors are spending as well, and in terms of their range, from the highest spending competitor to the lowest spending competitor. Now, this is data from Google and I don’t know how accurate it is. I know Google often would like you to think you need to spend more money. Sometimes it’s good advice, sometimes it’s bad advice, but overall spend whatever you’re comfortable with, especially, if you’re new to Google Ads. In addition to that, especially using this product, because as much as this is a tutorial on AdWords Express, it’s not a good product. If you can, transition to the main Google Ads product as quickly as you can. I’ve created dozens of videos on how to use Google Ads. If you need help, then check out my Google Ads and Bing Ads playlist. 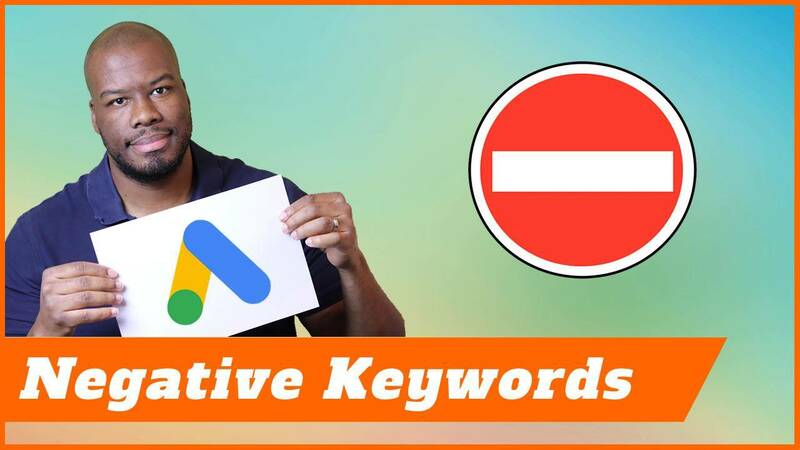 That will show you a ton of videos on how to create ads and create Google Ads campaigns. Once you’ve chosen your desired budget, all you need to do is hit “next.” It gives you all of your settings in one view for a final review, so you can see your budget, your targeting, your advert, your service categories, any images you might have added, and then your budget as well. That is pretty much the entire setup, and I think the next step is just your payment details. Here it is. This is “confirm payment info.” Now, I won’t be doing this. I will not be adding any payment information to this account. I won’t proceed and actually set this campaign live, but once you add your payment information to this account, then your adverts will go live once they are reviewed by Google, which can take up to 24 hours. Once you’ve done that, your adverts will be live on Google. Now, this is the end of the tutorial. As you can see it’s very, very easy to set up a campaign on AdWords Express but again, I need to mention please, please, please, don’t have a lot of faith in this product. It’s not a good product. 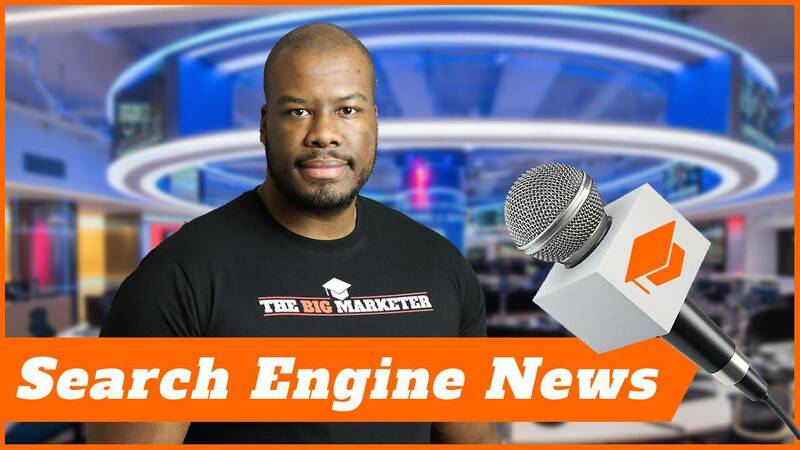 You’re competing against people with a lot more targeting options, a lot more keyword targeting options, a lot more optimizations they could make to their campaigns. It’s just not going to be good for you competing on that level. As soon as you can, either learn how to do PPC on Google Ads main product yourself, or hire a consultant or agency to do it for you, because essentially with this, it might give you some hope that you can potentially get some revenue out of doing this, and some people definitely might do that, but it’s not even close to the amount of money you would make if you were using the main product. That’s my main takeaway from this. I hope you enjoyed this tutorial. I hope you understand exactly how it all works. If you have any questions, leave them in the comments. I’ll be more than happy to answer them. Again, please try and use the main Google Ads product. Thanks for watching this tutorial. If you liked it, let me know and leave a like below. More important than that, don’t forget to subscribe. Check out the other content on my channel. I’ll see you guys on my next video.